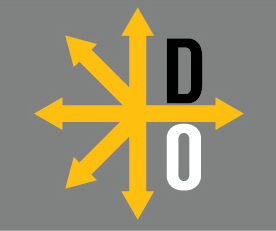 Divergent Options is a non-politically aligned national security website that, in 1,000 words or less, provides unbiased, dispassionate, candid articles that assess a national security situation, present multiple options to address the situation, and articulate the risk and gain of each option. Please note that while we assess a national security situation and may provide options, we never recommend a specific option. Divergent Options is calling for national security papers assessing situations or discussing options related to the Middle East. Please send your article to submissions@divergentoptions.org by October 13th, 2018. – Assess the current state of the battle against the Islamic State in the Middle East. – What options remain to solve or address concerns related to the crisis in Syria? – What options remain to solve or address concerns related to the Israeli-Palestinian Conflict? – What options remain to solve or address concerns related to Iran’s desire for a nuclear capability? – Assess Iran’s current / future influence in Iraq. – Assess Turkey’s current / future role in Middle East politics. – What options remain to solve or address concerns related to the conflict between Saudi Arabia and Yemen? – Assess U.S. policy towards the Middle East with a focus on supporting autocrats vs encouraging self-determination. – Assess the current / future relationship between Saudi Arabia and the United Arab Emirates. – Assess the impact to the Middle East when the Sultan of Oman dies. – Assess the future of the Kurdish people in the Middle East. – Assess the current / future struggle for regional influence between Qatar and Saudi Arabia. – Assess the possibility of Egyptian President Sisi stepping down at the end of his second term. – Assess former President of Egypt Hosni Mubarak. Was he the tyrant the West made him out to be? Was he a regional safety valve? – Assess the future of the Egyptian Muslim Brotherhood in light of the resignation of the rich from its middle ranks, the extremism of its lower ranks, and the failure of its upper ranks to preserve the group as a one functioning political machine.